Bugs and Fishes by Lupin: More Felt Christmas Ornaments Finished! More Felt Christmas Ornaments Finished! 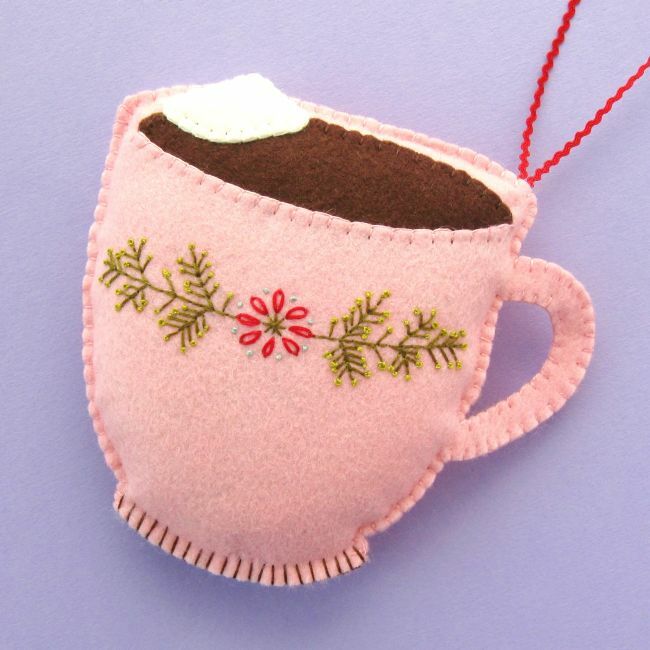 I'm on a mission to finish my crafty UFOs (UnFinished Objects) this year, and my current spare time project is finishing a set of Christmas ornaments I bought as a kit several years ago. 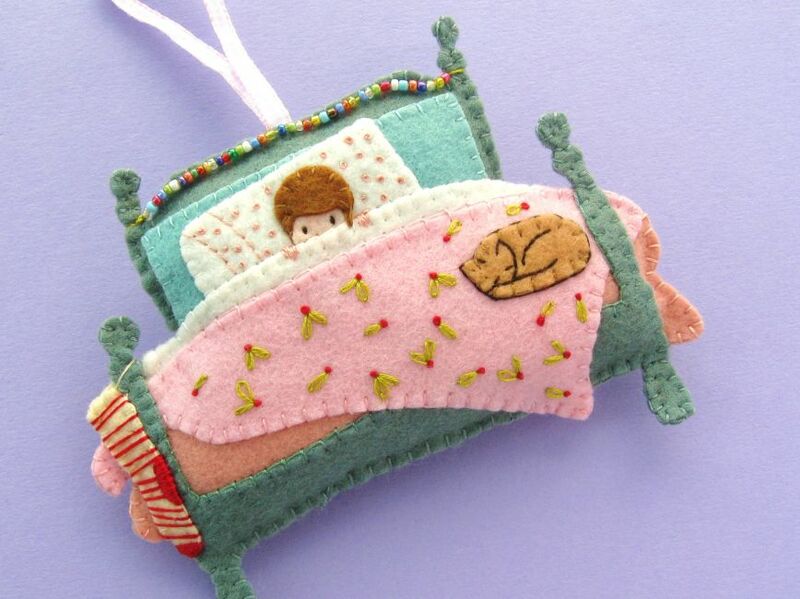 The Nestled Child ornament is so sweet - I particularly love the sleeping kitty! It's a bit tricky to photograph as that string of beads only hangs properly when the ornament is hung up, but I'm sure you get the idea of how it'll look. 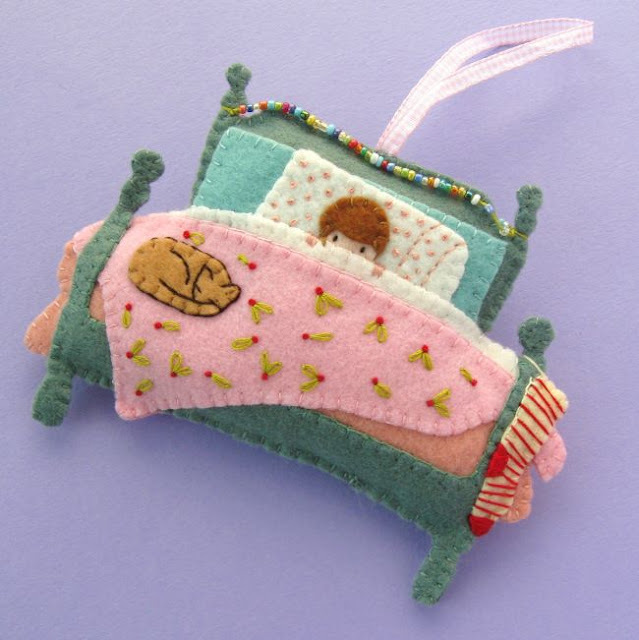 Most of Alicia's ornaments are double-sided, with the back being a mirror image of the front. It can be a bit tricky making sure the front and back sections line up perfectly, so if you make some of these do take care when assembling the pieces! 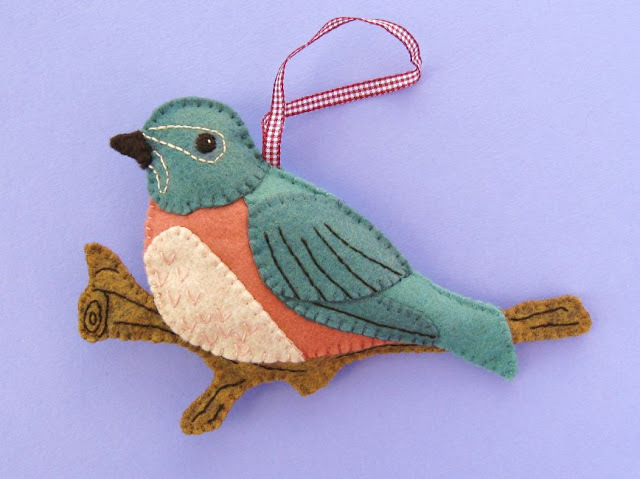 I had particular trouble getting the Western Bluebird pieces lined up to match (I think I stitched one piece slightly wrong and it threw the whole shape off) but the finished ornament turned out great. 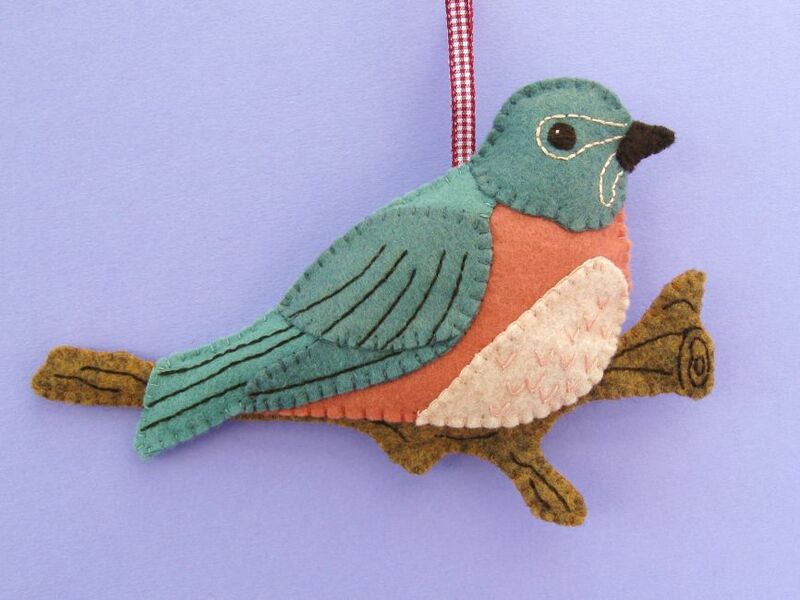 I'd never heard of this bird before making this ornament, but it's rather lovely! (You guys know how much I love birds of any kind). 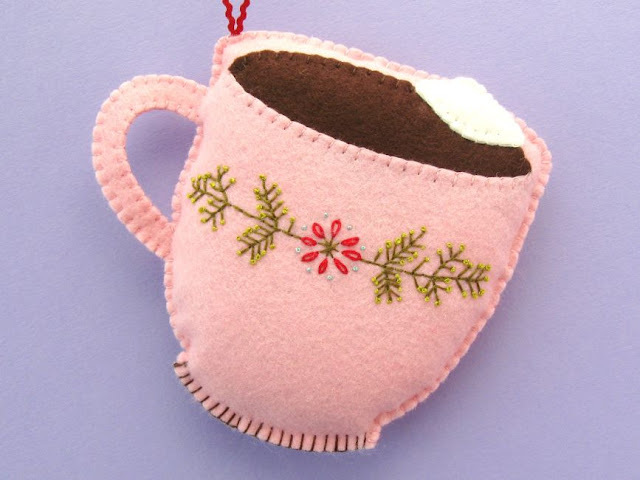 The Hot Cocoa Cup was really fun to sew, with that pretty embroidery pattern to stitch (embroidery is always so relaxing!) then a nice simple shape to assemble. I didn't used to be a hot chocolate person, but I started drinking it in cafes on my winter walks this year and I think that's a habit that's gonna continue - it's just so warm and comforting! It would be even nicer in a pretty cup like this. 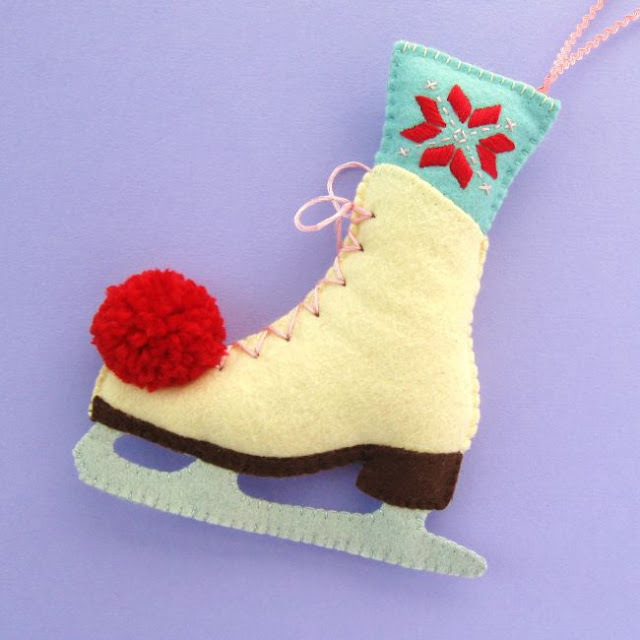 Then my final ornament from this batch is the Ice Skate, which is one of my all time faves from Alicia's Christmas designs. The embroidered design on the sock! The laces! That perfect red pompom! So good. I've got just four more ornaments to finish then the whole set will be complete. I'm a bit wary of typing this in case it jinxes it, but... I feel like I might actually get these all finished in time for Christmas! Fingers crossed. 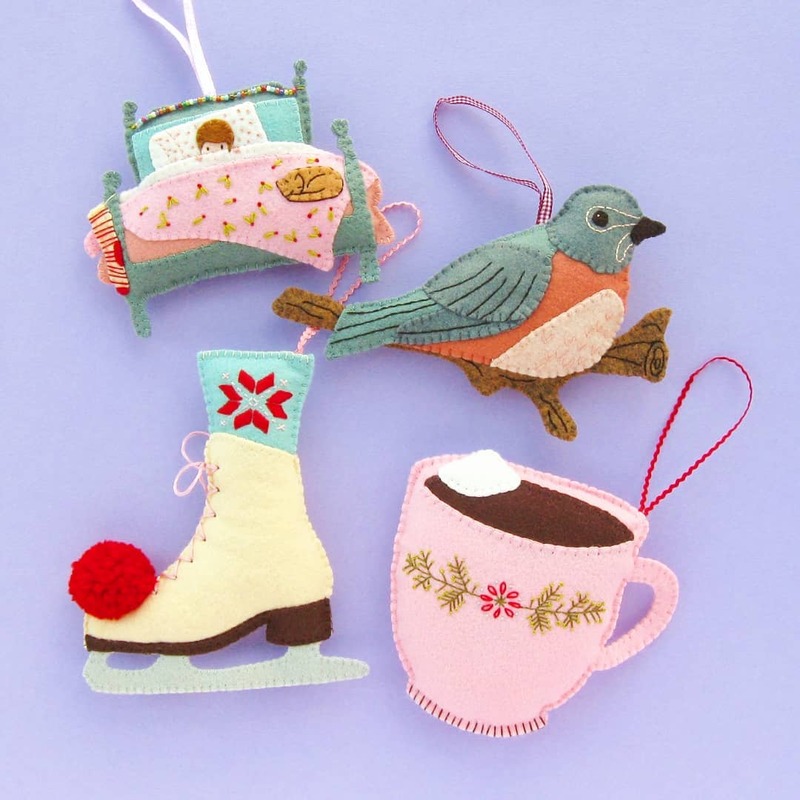 Want to stitch these ornaments yourself? 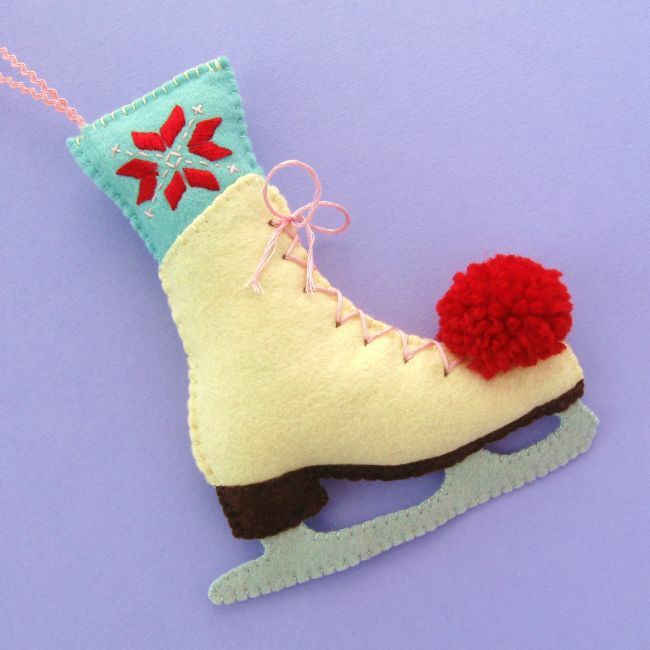 Click here for Alicia's lovely ornament patterns. They are lovely. Your Christmas tree will look great this year! Destashing & Decluttering Sale: Coming Soon!